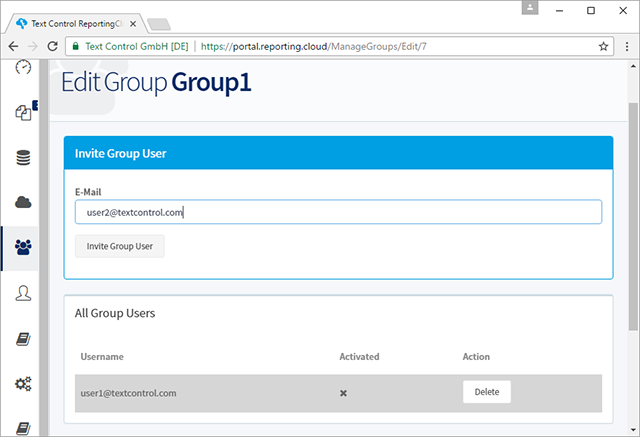 In the ReportingCloud Portal, account holders can upload and manage templates that are used for merge processes using the ReportingCloud Web API. Our users requested a functionality that other users can be assigned to edit and create templates for a specific group in the template storage. These template designers get their own login and can create and modify templates in their dedicated group. 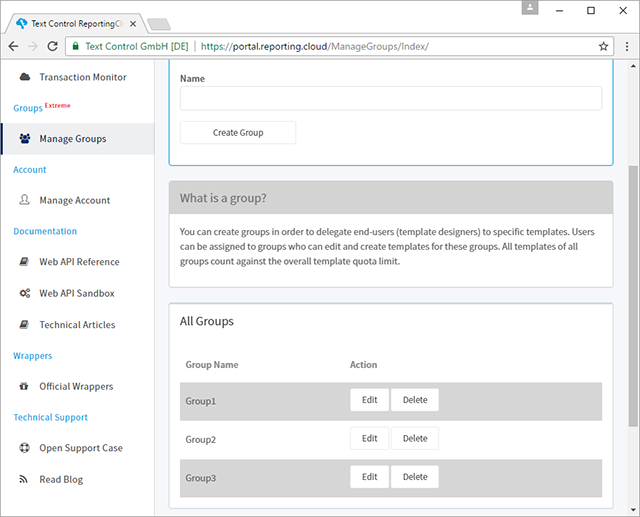 Therefore, we implemented ReportingCloud Groups. This feature has been rolled-out to the portal today and is available for all users with an Extreme license. The side menu received the new entry Manage Groups which opens a view to create and manage groups. These invited template designers are getting e-mail invitations to create a ReportingCloud account. These accounts are bound to the account holder's group. The template designer is now able to edit and create templates inside this group. As all group user accounts are bound to the main account, the same template quota is valid for all templates in all groups. Test this on your own and create a ReportingCloud account today.